Versione rimasterizzata dell'album omonimo pubblicato nel 1995 con 3 inediti: "Honey, You Know Where To Find Me", "Fantastic Bird" e "You Should Have Been Nice To Me". La versione � stata ribattezzata "Southpaw Grammar (Legacy Edition)". 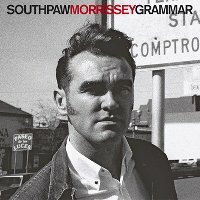 Remastered edition of 1995 album "Southpaw Grammar". This also includes 3 unreleased songs: "Honey, You Know Where To Find Me", "Fantastic Bird" e "You Should Have Been Nice To Me". This version has been renamed "Southpaw Grammar (Legacy Edition)".